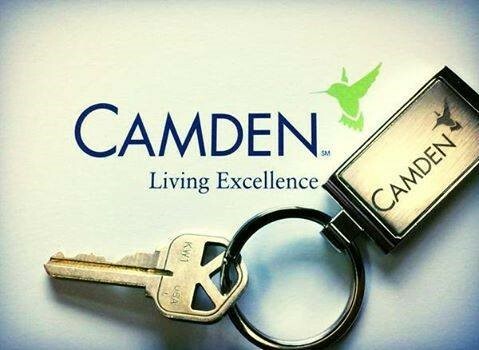 One of the many perks of choosing to call Camden home is our simple and easy transfer process. Our team at Camden Harbor View in Long Beach, CA recently had the pleasuring of assisting our resident who transferred from Camden Boca Raton in Florida. Her transfer experience really touched me, and I wanted to share her story with you. Aljoharah was living in Miami, FL in 2014 and needed to relocate to Boca Raton to be closer to Lynn Universality. Her neighbor at the apartment community she was living told her a new apartment building was being built a few minutes from the University. Aljoharah learned it was a Camden community named Camden Boca Raton. She was so excited about her new adventure and new apartment, she called often to find out when the doors would be opened. The time came in August 2014 when she was the first resident to move into Camden Boca Raton! She loved the perfect location, neighborhood and team there. Aljoharah completed her studies at Lynn University and got her MBA in Management Hospitality. In December 2015, Aljoharah wanted to complete a college course in Orlando, FL. With the convenient and hassle-free Camden transfer, she found the next perfect home at Camden Altamonte. Wanting to experience another side or Orlando, she took advantage of the Camden transfer to Camden Waterford Lakes. Fast forward to July 2018, Aljoharah could not pass up a new job opportunity and attend school for Protocol Law in Southern California. She knew all of Camden’s great locations and she recognized Camden Harbor View was going to be her new home. Hopefully you had the chance to read about Camden’s great transfer program in our previous blogs and how we make it easy if you need to relocate. If you are a current Camden resident or looking to move into a Camden community, know that we have you covered when life changes happen. Our team members are ready to assist you and help make the transfer process as seamless as possible.